Plumeria Fusible applique pilllow kit 20in. Kit includes one laser cut pre-fused 16in. 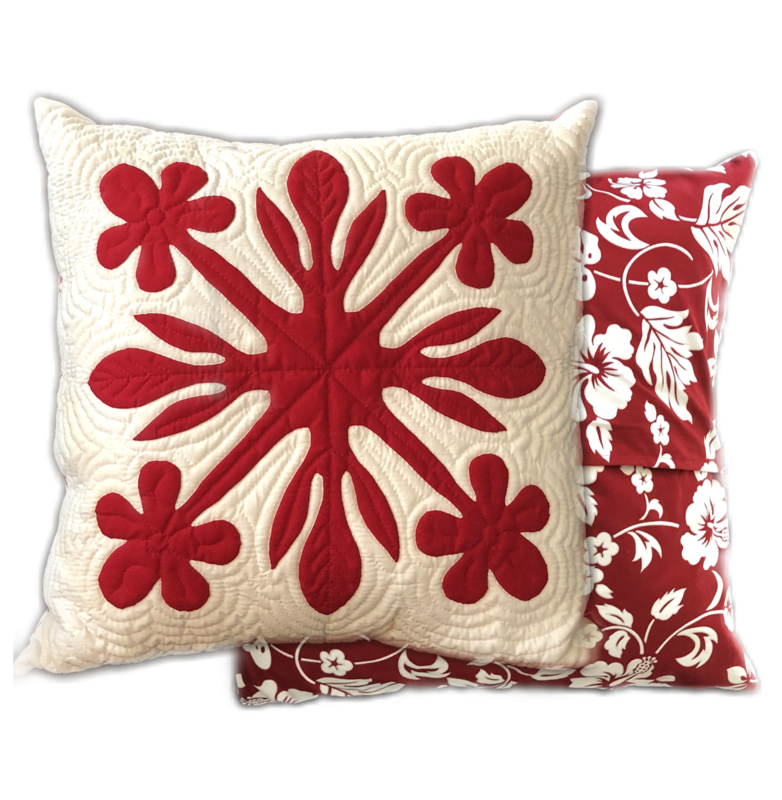 diameter applique, background fabric, pattern, matching Hawaiian print pillow backing.